A Fraternity that Caters to the Needs, Wants & Desires of Every Era - Advaitha Ventures Pvt. Ltd.
From a garbage dump to a locality of growing opportunities, Koramangala has gone through a considerable transformation – now becoming one of the most active areas in the city. As a result, the demand for luxury residential properties has witnessed an overall increase as well, opening the doors for a new generation of home buyers. Buyers who make their investment based on clean-cut aspects such as In-house Amenities, Social and Physical Infrastructure, Proximity to Workplace, etc. Our property provides the same transparency and connectivity – Advaitha Aksha’s key location helps connect you to important areas such as Whitefield, Marathalli, and Sarjapur. 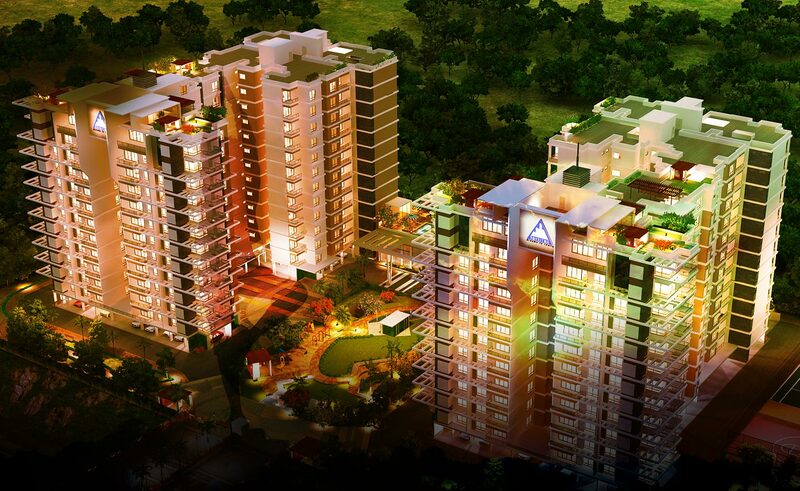 As an Advaitha Aksha homeowner, experience the luxury of having everything within your arm’s reach. Experience the luxury of having all your individual needs met. Furthermore, at Advaitha Aksha we provide our home buyers with a world-class Two-storied Clubhouse, Rooftop Infinity Swimming Pool, Spa & Health Club are few to name. The project has incorporated solar lighting and rainwater harvesting systems in addition to a well-designed waste management system. Which is why our home buyers refer to us as the ‘Hub of Happiness’. Advaitha Aksha is a housing fraternity that blends in with the needs of any age group, whether ahead or behind the crucks of time. Spacious bedrooms and large living rooms, which consists of high raised ceilings that bring in an element of royalty. Large spacious balconies, that encourages breathtaking views of the lie spread-eagle exteriors. Lush themed landscape gardens, tree line roads, greenery-filled walkways and well -designed children’s play area.